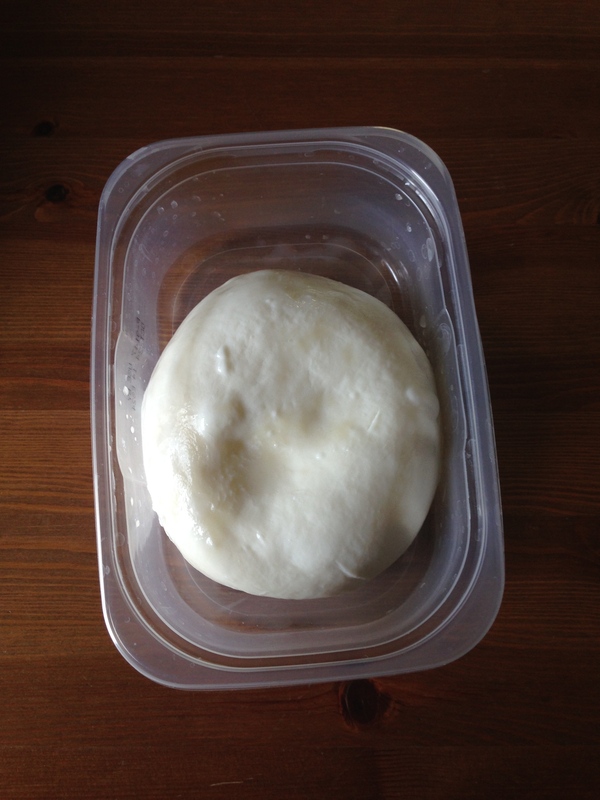 I made mozzarella!! 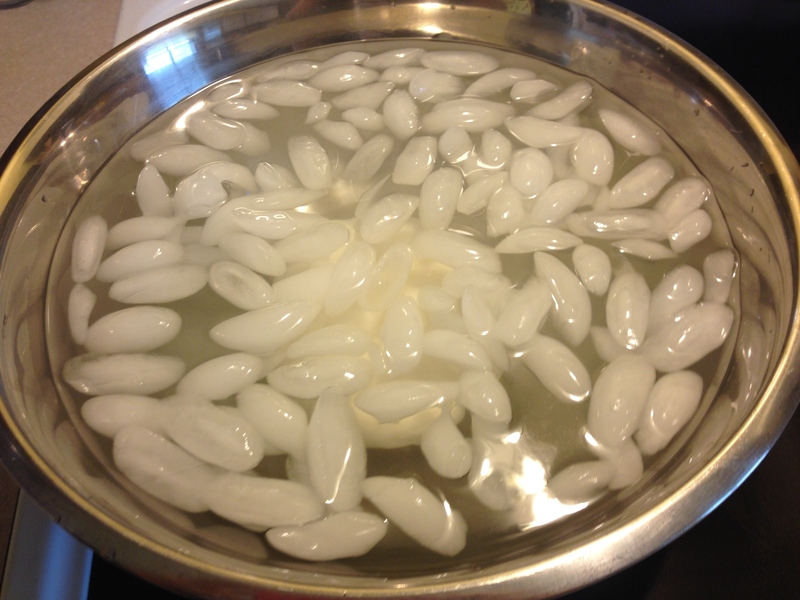 It’s in an ice bath in my kitchen right now! The heartache of my earlier cheese making adventures has dissipated. I AM A MIGHTY CHEESE MAKER HEAR ME ROAR!! Mozzarella was so easy to make that I think one of my kids could do it, but damn, I feel impressive! I used my kit from New England Cheese Making Supply Company. The kit came with rennet tablets (I overcompensated buying the rennet by the way, I now have enough rennet to make cheese for the masses in the event of an apocalypse. ), citric acid, a thermometer, some cheesecloth, cheese salts (not sure how cheese salt is different than regular salt), and an instruction book. I already had some citric acid, and the thermometer was a wee bit too short for the pot I was using, but the instruction book was priceless. The whole process took less than an hour. 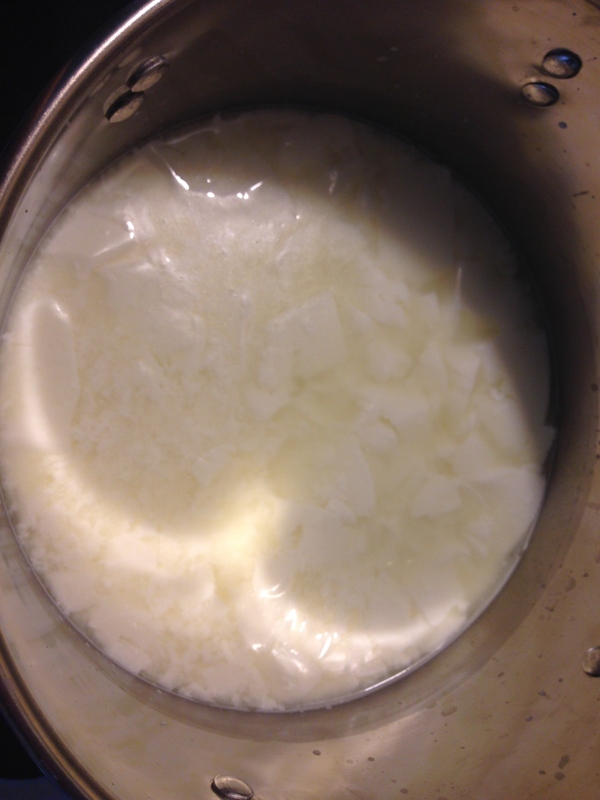 Here are the curds forming in my pot. Yay rennet! The mozzarella came out awesome. A gallon of milk minus 1C (I used powdered milk, which I rehydrated) and 1C of heavy cream made about a one pound round of mozzarella. You can break it down into smaller balls while it’s warm, but I decided to play it easy this time. The only drawback was making mozzarella seemed smellier than the other cheeses I’ve been making. I think it might be the rennet, it’s an enzyme from a baby animal’s stomach that breaks down his mother’s milk for digestion. That’s an educated guess, because I feel like the whole experience (my kitchen and my hands) kind of smelled like baby puke. Which would make sense because the rennet is “digesting” the milk just the way the calf or lamb (or baby human) would. I assure you the cheese does not smell like baby puke, please do not let this deter you from making cheese which as you can see is an amazing experience. 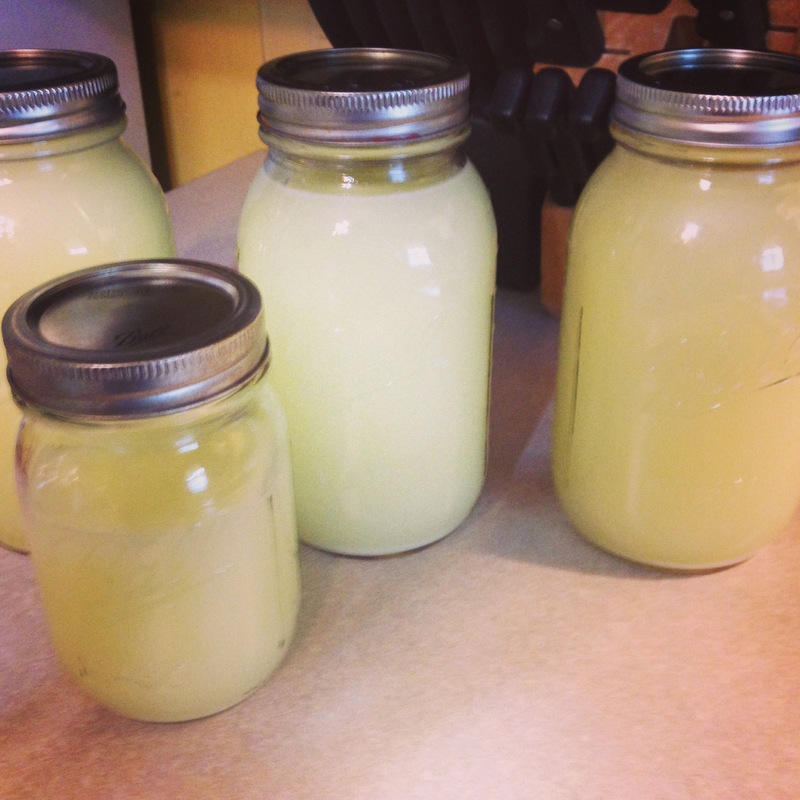 Also, I now have a bunch of jars of whey. I’m going to start giving them away to people on the street. Just kidding but I guess I will have to take a mini-hiatus from my cheese obsession to find a use for all this whey.